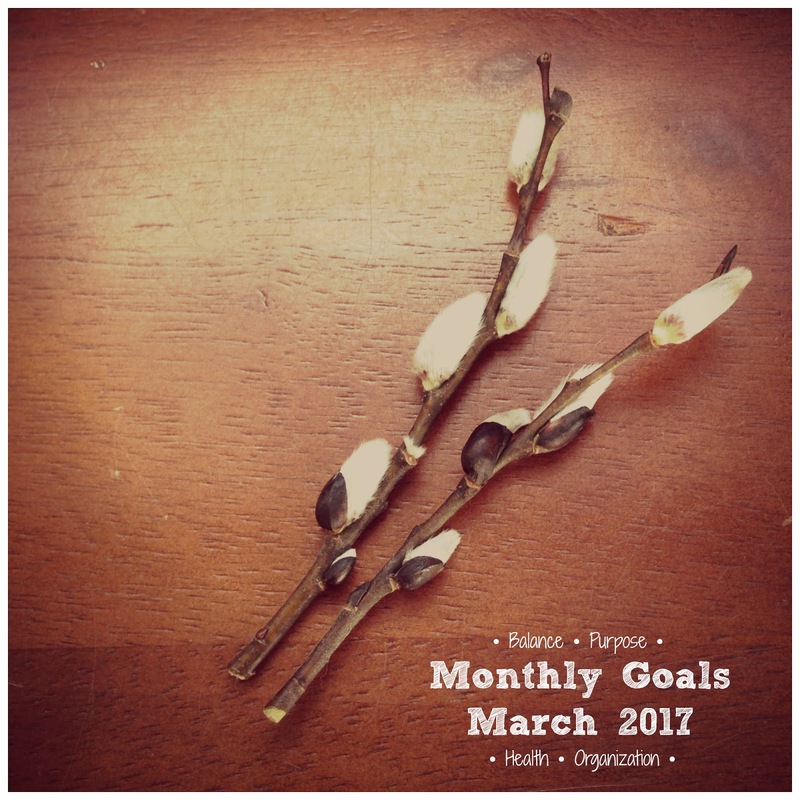 February seemed to fly by, which meant getting to my monthly goals and my four year-long themes was not as easy as it might be in longer months. Here's a quick look back at how February went. My plan this month was try and manage my home time better by watching the clock and giving myself time limits. While I started off the month with this, I didn't persist with it long. I had hoped to work on cleaning the basement out at the end of February, but instead I realized there is still more work to be done upstairs and so I focused more on the upstairs again. The basement got some minimal attention when I took some things to a local thrift shop, but in general it's in need of a big clean still where I really think about the purpose of the objects were holding on to down there. 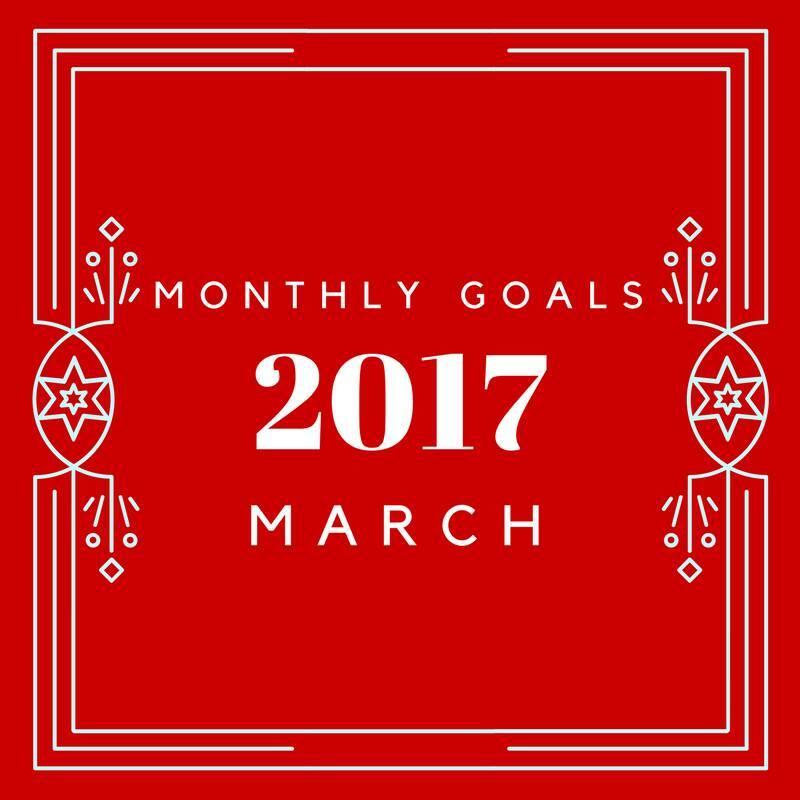 My 5k in March is now coming right up, and I've really enjoyed getting back into running. I was especially glad to fit in two outside runs this month, which is unusual for me in February. Originally the basement was the place I had hoped to focus my organizing, but I found myself doing more organizing upstairs. I finally got to the cabinet that now holds all our office supplies, which was great as now it's useable. I also worked on a few closets and a little bit in the play room. I'd like to revisit the idea of giving myself time limits, and see how on task I can stay when I give myself a time frame. 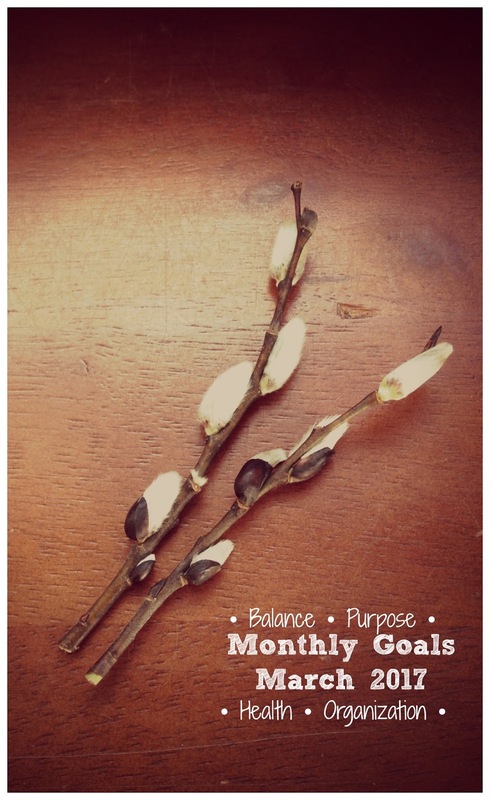 I'd also like to return to balancing in some of my hobbies again to my weekly schedule, including time to blog. My hope is to have more blog posts this month than I have had in previous months. Earlier this week I saw a school wide email asking for input at a special PTO meeting. I have not yet joined the PTO as I'm still actively on the board of my younger son's preschool in addition to work and home commitments. I was tempted to go, as the topic of the PTO meeting interested me, but then I stopped myself and forced myself to tell myself "no." I'm always so eager to jump into something new and add more to my to do list, but in this case I was really proud of consciously telling myself not to take on something new. I had to make myself think about how purposeful it would be to take another commitment when I already have other commitments on my plate. So for March, I want to practice more of this. When else can I say "no" to myself when contemplating a new project or volunteer opportunity? It's been great to be able to get outside again and run in the fresh air. But the other family member who really needs that fresh air and exercise is our family dog. The other day when there was not time for a run, I took her for a quick walk and realized how little we get out for real walks anymore. My goal in March is to take her on at least one longer walk a week. It will be good for both of us! This month I'm going to focus on toys - and toy organization. Specifically I want to tackle: the playroom closet, the stuffy collection, and the baby/toddler toys stored in the basement. Later this spring I'm hoping to join in on a multi-family yard sale with friends, and I want to start looking through things sooner rather than later. 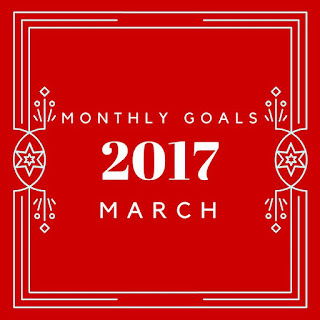 I love your goal themes for the year.